Artist, author, and autodidact Anita Fowler collects sea glass, rocks, and shells to change a piece of nature into something new and stunning, keeping with the lore of the place where they’re found. 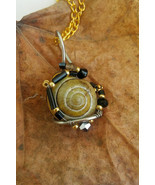 This handmade jewelry representing natural elements found in nature such as sea glass, rocks, and shells. Pendants and earrings crafted with wire, beads, and charms. 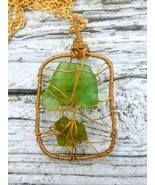 The sea glass seen in the Baltic Mermaid Collection was gathered on the shores of Tallinn, Estonia. Rumor on the beach has it that a French wine merchant ship went down a hundred years ago and the glass is still washing up on the beaches. 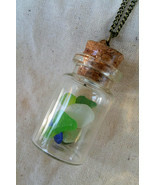 The sea glass seen in the Pacific Goddess Collection was gathered in Kauai, Hawaii on the famed Glass Beach. 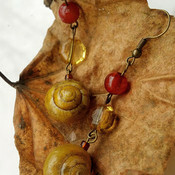 The shells in the Snayl Collection were found right here Pennsylvania from the species cepea nemoralis, used in the artist’s experiments on snail hearing. 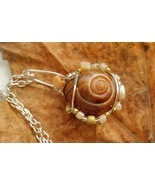 Beautiful hand crafted quality jewelry with fast delivery. Thank you.